Editor’s Note: The CoinSnacks team is on the road this week in the beautiful (somehow overlooked) city of Budapest, Hungary for the Seraph.vc conference. Unfortunately, and in typical traveling abroad fashion, we managed to lose electricity late last night, leaving us unable to send out CoinSnacks on our normal schedule (Wednesday afternoons). Sajnáljuk! Ether (ETH) can’t seem to stop going down in price – dropping to less than $170 last Wednesday. This marks a 90% fall from its all-time high. The CEO of Bitmex, Arthur Hayes, was shown to be encouraging people to short Ether. Hayes was accused of posting in the BitMEX chatbox about the new ETH/USD perpetual swap the exchange offers. He was also quoted as saying “this is the perfect way to punt on the ETH/USD price”. People are now calling for the SEC to intervene. Claims that ICO companies have liquidated most of their ETH holdings. While at first this seemed to be a valid reason, Larry Cermak of DIAR did his due diligence and found results that said otherwise. As blockchain skills in the workforce continue to be desired, college campuses around the country are attempting to keep up with both student and employer demand. Some may remember that we recently covered a report produced by Coinbase showing the growth of blockchain courses on college campuses. Now, Sarah Gonser of The Hechinger Report, has detailed how the experiment is going in a series of interviews with students taking blockchain courses. Slowly but surely bitcoin creeps further and further towards full normalization and ubiquity in our world. Morgan Stanley is now building out bitcoin derivatives products that their customers may soon have access to. The bank is prepared to offer bitcoin swap trading, but will only launch once there is “proven institutional client demand” and after the completion of an internal approval process. In wake of news like this though, here’s another take by MIT – reminding us that Wall Street adoption could also be dangerous. Ever looked at a whitepaper and thought to yourself, “what the hell am I reading?” We certainly have and appreciate our friend Nathaniel Whittemore for confronting the issue head on. In this essay, he explains how over-complication affects the entire crypto community and why we desperately need to simplify. Tushar Jain of Multicoin Capital is shorting Litecoin (LTC). He claims that Litecoin is a relic of the pre-smart contract platform ecosystem and that an outdated perception has led to a divide between current price and fundamental value. We can’t say we agree with everything that Tushar has to say, but it’s worth being aware of what one of the most influential crypto hedge funds in the space is doing. Announced last week, GeminiCoin is the latest “stablecoin” to be launched. This week, Preston Byrne explains how GeminiCoin plans to structure their affairs for the long run (lawyer-heavy, slow-and-steady-wins-the-race approach), but also describes why he believes it’s not actually a stablecoin. 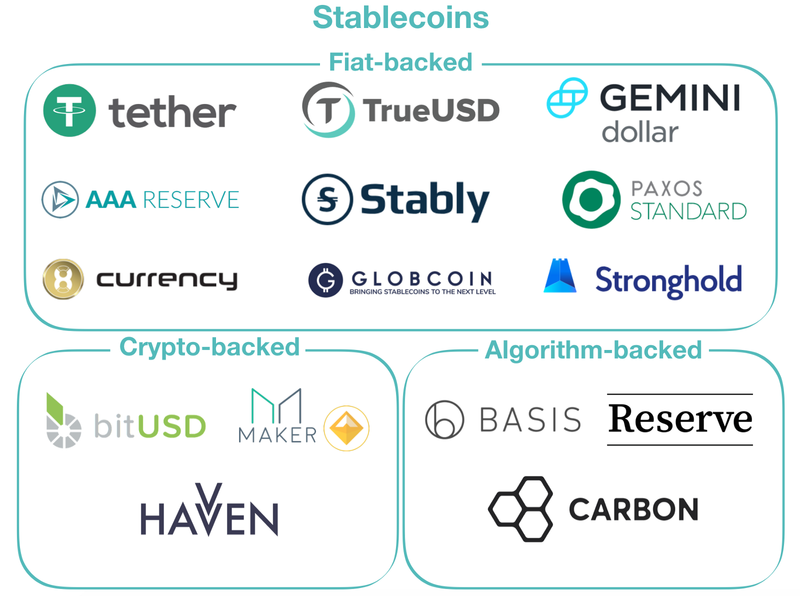 In case you need a little refresher (or an introduction) on stablecoins, Steven Zheng gets you up to speed on the hype surrounding these so-called “Holy Grails” of cryptocurrencies. Why change a financial system that seems to work so well? This deep dive explains how blockchain technology can solve existing pain points during the issuance and trading of securities. If you’re new to security tokens, this is a great overview of the history taking us all the way to the beginning of the Post Office. There’s a clear pattern we’ve seen time and again… one that’s given people the chance to make enormous amounts of money. And when billions of dollars start pouring into California’s recreational weed market, these small companies could see their revenues QUADRUPLE. Go here now for a special presentation showing you how to profit from this groundbreaking event. For a more detailed breakdown, here’s the best tweetstorm we found from Drew Hinkes of NYU School of Law. Tech veterans and high-profile cryptocurrency companies such as Coinbase and Circle have stated that they are forming a Blockchain Association, the first fully fledged lobbying group dedicated to blockchain policy issues. The Blockchain Association aims to portray itself as a voice for mainstream companies that want to work within the political system rather than circumvent it. Among the associations first priorities will be addressing how cryptocurrencies are treated under U.S. tax law. Let’s take a second to go beyond the scope of cryptocurrencies and blockchain. This week, Lobbyists convinced legislators to continue on the path towards passing the EU Copyright Directive, in an act that could harm “everyone who uses the internet.” The act is a controversial piece of legislation intended to update online copyright laws for the internet age. To be clear this has not been passed yet. However the possibility of it passing just got more likely. Keeping the crypto community in mind, here is Ryan Selkis’ perfect response to the article. 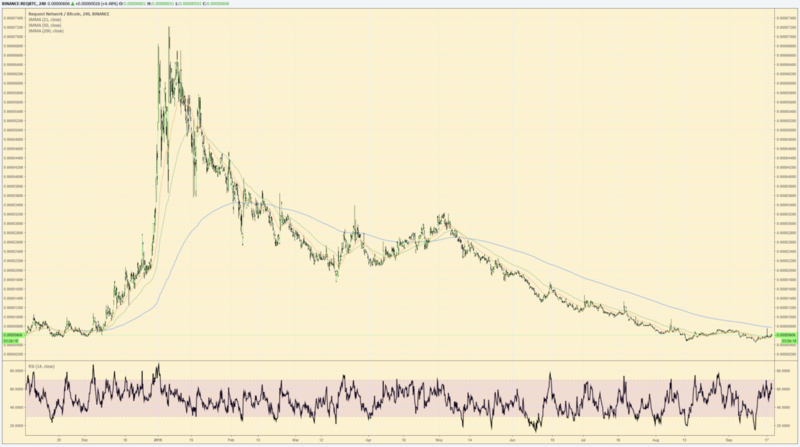 We’ve been keeping our eye on this coin for a while now (chart was made last week). LBRY Credits (LBC) is still consolidating but has recently exited its downward channel. The buybook is stronger than the sellbook and it’s compounded with an ascending Relative Strength Index holding up at the .786 support. Prepare for a jump, folks.